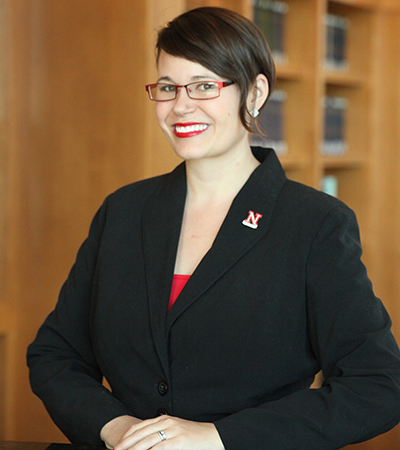 An interdisciplinary team from the College of Law and the Political Science Department has been awarded one of the University of Nebraska’s Inclusive Excellence Development Grants from the Office of Diversity, Access and Inclusion. Elsbeth Magilton, the Space, Cyber, and Telecommunications Law program Executive Director and Political Science faculty member Dr. Tyler White, will be implementing their proposal, “Recruiting, Retaining, and Supporting Women in the National Security Field” over the next two semesters. The proposal seeks to establish student programing and resources to provide career development and field-specific mentorship to women engaged in national security. “In recent years at the University of Nebraska-Lincoln there has been a major shift in enrollment into the Intelligence Community Scholars program, with a notable increase in female students. Unfortunately, we do not see those same numbers several years into the profession. The University has an opportunity to help enact change in the profession,” added Dr. White. The project will focus on three core objectives to achieve their desired impact: visibility of female role models in the field, field-specific mentorship, and professional skills building. Efforts will include public panels, career development workshops, and more cross-department collaborations. This is the second time Magilton and White have collaborated to bring national security focused opportunities to students; last March the team co-hosted the Deterrence and Assurance Academic Alliance conference on behalf of U.S. Strategic Command featuring primarily student and new-faculty research. More information about the Space, Cyber, and Telecommunications Law program is available at law.unl.edu/spacecyberlaw. More information about Nebraska’s Intelligence Community Scholars program is available at nationalsecurity.unl.edu.